At Southview Cottage you and your family can always find something to do on your family vacation. We offer many onsite recreational activities to keep you outside and active! Southview Cottage’s is the prefect getaway for family vacations, couples retreats, group getaways and more. We have plenty of wonderful activities for everyone to join in on, all onsite. Onsite we have a full sports center with volley ball, basketball, ball hockey and more. We also offer water sport activities like stand up paddle boarding, kayaking and canoeing. For those adrenaline junkies as well we have certified instructors for water ski and wakeboarding lessons behind our Mastercraft Tournament Series Towboat. Bringing your family out for a summertime lakeside cottage vacation has been an unspoken Ontario family tradition for generations. There's just something magical about the lake country that words can't describe. 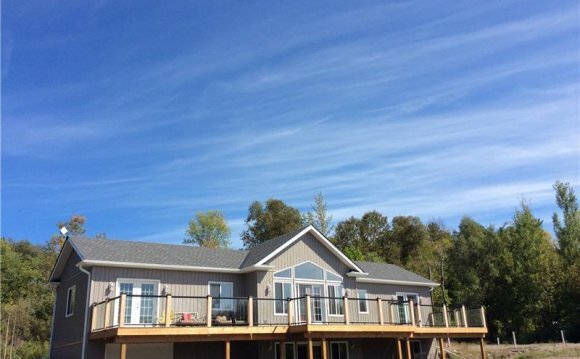 At Southview Cottages we have 1600 feet of natural waterfront, complete with a lakeside boardwalk and fishing piers. It truly is a wonderfully picturesque setting, perfect for those summertime family vacations. For those who just love to get out of the city and enjoy the great outdoors we have over 50 acres of wildlife, including numerous kilometers of nature trails. These trails are perfect for summer time hikes, biking, bird watching, and are accessible in both the spring and autumn seasons for beautifully scenic nature walks. In addition to the 50 acres of natural forest onsite, we also have a beautiful sand beach for our guests to enjoy the lake, and also a heated pool for those who prefer. Here at Southview Cottages we also pride ourselves on being one of the top fishing trip destinations in Ontario. Our housekeeping cottages make the perfect accommodations for a week long fishing trip, and Rice Lake offers a wide variety of fishing as well. Here you can find Panfish, Carp, Walleye, Muskie and Bass fishing. We offer both power and non-power boat rentals for fishing, along with any equipment rentals you may need. We do also offer free wifi onsite for those who just can't give up their connections. Please find below a list of recreational activities that are available at Southview Cottages.